Here we are with our final weekly AFC South Week 17 preview. Let’s take a look around the division at the Week 17 match-ups. We also give you our score predictions and the latest on injuries and betting lines. It’s the Battle of the AFC South as the final game features divisional play from all four teams. The Houston Texans are remarkably still alive in the playoff hunt but must win against the Jaguars plus get some help from the Kansas City Chiefs and the Cleveland Browns. The Texans are 3-2 in the division including a Week 14 win over the Jaguars. The Jaguars season has been short on wins and they are looking for their first road win of the season. The Jaguars should be well rested coming off a long week where they beat the Tennessee Titans on Thursday Night Football. It’s been a rough year for the Jaguars injury wise and it looks like Jordan Todman will get the carries at running back with Toby Gerhart nursing a rib injury. The Texans also have a slew of injuries but the most important of which is the quarterback position. They will start Case Keenum once again with season ending injuries to Ryan Mallett and then Ryan Fitzpatrick. Tom Savage is also out with a knee injury. You can view the injury reports here. Vegas currently has the line at Texans -10. The last time the two teams faced off the Texans had to come from behind to win 27-13. 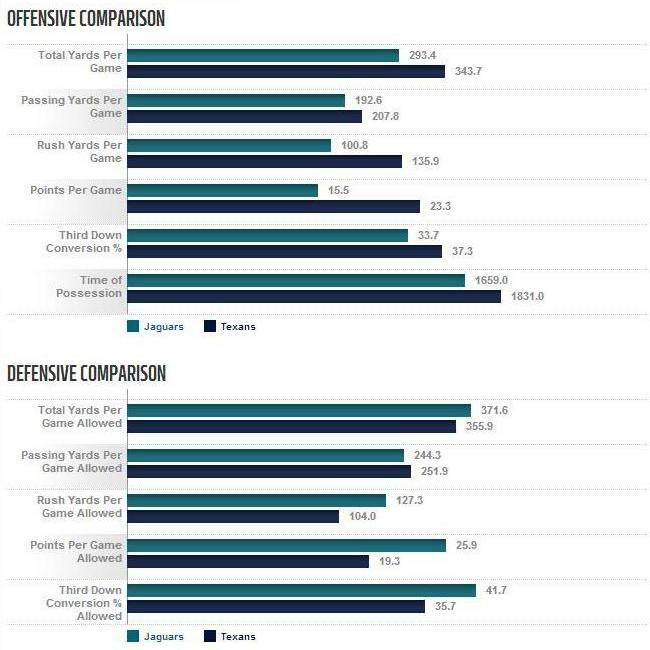 The Jaguars offensive line has struggled this year and the team leads the league in sacks given up at 66. They will need to keep J.J. Watt off rookie Blake Bortles to allow him time to operate. The playoff bound Colts will travel to Nashville, Tennessee to take on division rival the Titans Sunday in a game that is meaningless to both sides. Its been a disappointing season for the Titans but their players have continued to play hard despite losing. The Colts have already indicated they will only be playing “healthy” starters. Tight end Dwayne Allen will definitely not play against the Titans. Some are billing this as a “tune-up” for the Colts but we expect to see a lot of backups get significant playing time. Tennessee’s defense is dreadful but Ray Horton does like to blitz a lot. The Colts offensive line has been banged up and there simply isn’t a good reason to risk injury to Andrew Luck in a meaningless game like this one. It wouldn’t be surprising to see Matt Hasselbeck play a significant portion of the game. That’s it for this season! We hope you have enjoyed our previews.